Eve Reads Books In 2 Languages! I feel so fortunate to have been able to chat with the amazing multi-lingual Eve about books. You'll love hearing her thoughts. I know I did! Read on to hear what she has to say . . . I'm Eve. I learned to read at 3 1/2 years of age (my daddy taught me to read in Spanish and English). I wanted to know why he and my grandad read a newspaper daily. From that moment on, the world was open to me. My dad thinks that my age wasn't taboo for me to read & discuss reading. I read almost everything without restrictions or prejudice. I hate bad grammar. I read 4 parts of books daily. You will always find me with a Book, Kindle or Mobile. I'm in Tweeter (not much time) in search of Books, Authors & Reviews. EVE: Sean Dillon by Jack Higgins. He's my hero/anti-hero. A real criminal, or not? I love his attitude, this is me: "Deal with That". EVE: "Cien Años de Soledad" by "Gabriel García Márquez". Sadly, I can relate to it with my country (sadness, poverty, craziness, politicians, etc). It's widely used when nobody can explain what happens. EVE: When I am reading a great book, I'm lost in it and someone interrupts me. I just lose it and can be a true witch. EVE: A good book, if I feel I'm inside the book and am lost to anything around me. That's an excellent author. EVE: I take notes as I read for reviews. A good character, an interesting story even a scene, that means I will re-read again. a. Paper, I can't deny that I love the sound of pages as I read, the smell, the weight and the warming when I touch them. b. Kindle, I was introduced to it by my niece, she lost me. I'm a convert now, I like the ease and weightlessness of the Kindle Reader. And how many eBooks I can carry in there. Well, now I have 3,091. SUE: If you visit a book's Amazon page, what’s the first thing you look for? EVE: 1st: Price, I have an amount separated for the whole month, so prices are important. A lot of new authors (Indy, etc) are writing great stuff. I had the bad experience of buying a book by a "Great Author" and he just compiled from here and there and delivered the worst book ever. So I now I've been more careful. 2nd: Description, a good description will sell me a book. When I see an incomplete description I always try to communicate with the author or Publisher for more information. I give the author 1 or 2 opportunities but if it doesn't fulfill on its promise, I never buy another book from that author. My review will say that. 3rd: I like to know if it's a series or stand-alone. Not all books in a series are good. So I read the description of the rest, that will tell me if I'll complete the series or not. 4th: I check reviews, but I'm careful. Not many know how to review. The author needs to know how they're doing, if they need to change something or people like exactly what they wrote. Sometimes the author's mind goes into a loop and readers can see that and tell the Author. I've done it. I read them carefully. Not everybody know how to review, you need to apply common sense. You have to know whether a review is about the book, or written to bother the author. Never, Reviews are important for readers and authors. I try very hard to write reviews telling the strong or weak parts. I try to review in a positive way. EVE: Yes. Many authors just don't realize the importance of a great cover. A cover that looks cheap, with no reviews yet, is a downfall. a. What are some of your favorites? From: Hide Series, Beautiful Creeps, Butterfly Code, Electric Blue Butterflies (Will o’ the Wisp). a. And what makes you take a chance on a new author or book? I rely very much on my intuition. Also, I read the description. If I'm still in doubt then I read the reviews. I have had authors send me the book even before it's published. When they send their work, I read and review for the Author (the good, the not so good and if it needs changes). The reviews for the readers are different. SUE: Thank you again, Eve, for sharing your amazing insights and opinions about books! And it was great to see your photos, you have an amazing library. I think every reader, including me, would love to visit your house. Sue Wyshynski is the author of The Butterfly Code. Her writing style is fast paced and tactile. Sue believes stories should be immersive, emotional and action-packed. 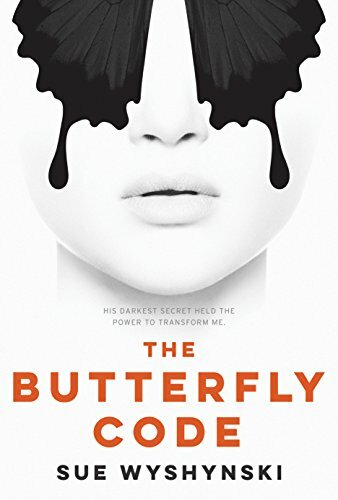 If you'd like to download a Kindle sample of The Butterfly Code, click here.